Whether it's learning their ABC's and 123's, encouraging a love for reading or music, or even just teaching them to love learning in general, a baby's first years are the ideal time to start fostering a thirst for knowledge. 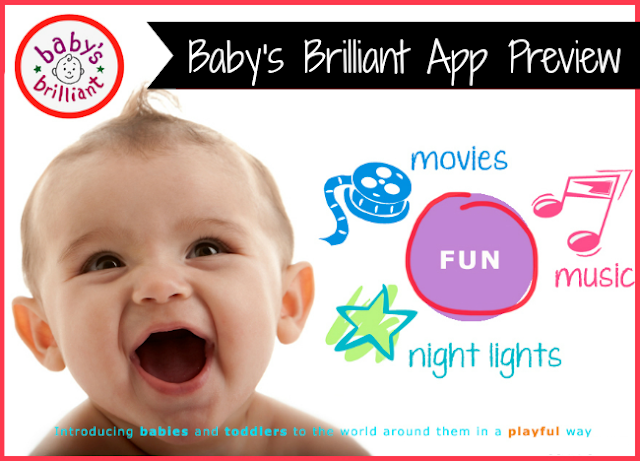 Baby's Brilliant App is perfect for little ones in the infant and toddler stages. This fun app was lovingly created to help parents teach their babies everything from the alphabet to music, and even introduce them to other languages! The app is free to download, and comes with a fair amount of free materials to get started with. If you decide you love what Baby's Brilliant offers, additional educational content is available through in app purchases. The Baby's Brilliant app is currently available in the Apple app store, so be sure to check it out! 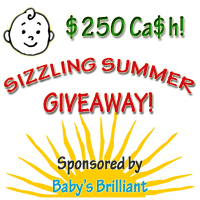 I am thrilled to announce that 2 lucky readers will receive some GREAT prizes, thanks to the awesome folks at Baby's Brilliant! This giveaway is open to US residents 18+ until 11:59PM EST August 18, 2015. No PO Boxes. Winners will be drawn using Rafflecopter's Random Number Generator. No purchase necessary. Void where prohibited. This contest is not affiliated with Facebook, twitter, Pinterest, or Google in any way. Thanks for entering, and Good Luck!